Just over 100 metres from Lambeth North tube station and approximately 10 minutes' walk from either Waterloo or Elephant & Castle tube stations. Approximately 10 minutes' walk from Waterloo International, Waterloo Main Line, Waterloo East and Elephant & Castle railway stations. 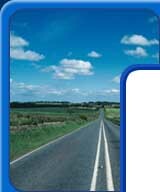 Use the AA Route Planner to plan your journey. The college's post code is SE1 7HT.